The future is not an extension of the past. How you create it depends entirely on your imagination. And, if you don't change with the times, you will become outdated; it will be the equivalent of professional hara kiri. 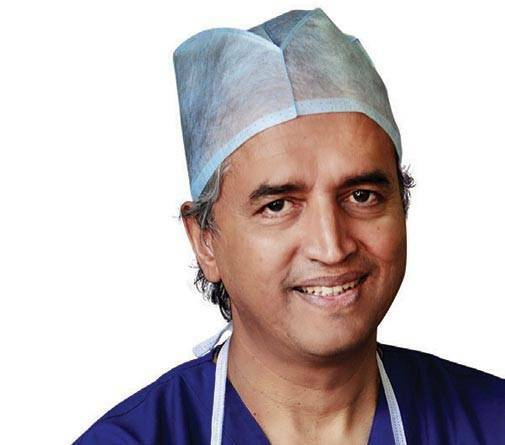 Dr. Devi Prasad Shetty, Founder & Chairman, Narayana Health, which revolutionised heart surgeries by substantially bringing down costs, says robots are set to perform simpler surgeries in a few years, giving a huge boost to specialised care in remote areas. When I talked to my colleagues about robotic surgery becoming the standard form of surgical intervention, most disagreed. However, after working in different parts of the world over the past 35 years, and looking at the changing times and technology, I am convinced that within the next seven to 10 years, if surgeons do not offer robotic surgery as an option, patients will choose a surgeon who will. Ultimately, it is not a question of what is good for me and you. It is a question of what is good for the patient. If a procedure is safer and painless for the patient, we can never stop it, no matter how powerful we are. 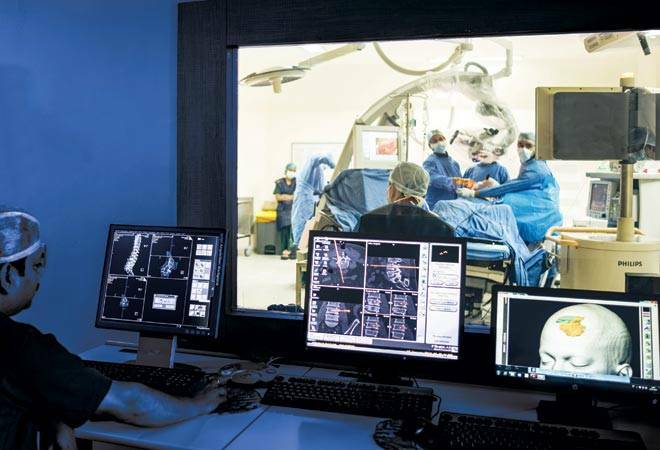 Right now, robotic surgery is expensive, and most hospitals in India are not in a position to adopt it, but it is a matter of time it becomes cheaper and catches on as a standard tool for simpler surgeries such as hernia and hysterectomy. We want every surgeon in the country to learn the technique. Transformation from open surgery to laparoscopic surgery is difficult, but from laparoscopic to robotic is relatively easy. We want India to have the largest number of robotic surgeons. When this happens, surgeons will encourage managements to buy more robots and new technologies and machines will evolve. The robot will become more sophisticated and cheaper. Imagine the convenience of a software engineer working in Electronic City in Bangalore who has to undergo a hernia operation. He gets admitted to the hospital on Saturday morning, is operated upon in the afternoon and goes home in the evening. He spends the weekend at home and is back to work on Monday morning. All this without any of his colleagues noticing that he has had an operation! But why is robotic surgery good for the patient? With small key-hole incision, minimal dissection, loss of only a few drops of blood, and little pain, one can walk out of the hospital the same day and get back to work in two-three days. Also, the risk of infection is minimal due to the small size of the incision and no blood transfusion. Technology that enables a surgeon to stay at home in Bangalore and operate on a patient in Africa or Latin America is already available. This creates enormous possibilities as far as taking health-care services to the remotest parts of the world is concerned. While the intern surgeon performs robotic surgeries in far-off locations, a senior surgeon can monitor the process on a remotely hand-held device and train him to be a skilled surgeon in a few days. It is a matter of time before technology addresses the problems of global poverty and delivery of health care. India needs 65 million surgeries a year. At present, only 26 million are being done. The main reason is lack of skilled surgeons. The Association of Surgeons of India has only 18,000-plus surgeons as members. India needs 65,000 surgeons to serve its 1.3-billion population. With improvement in technology and reduction in prices, it is a matter of time before robotic surgery is available across the world and across the country. Those who ignore the developments will be left behind, just as they have always been. About 30 years ago, when I was working in England, a few eccentric orthopaedic surgeons were trying to look inside the knee joint with a clumsy-looking device that is now called Arthroscope. Nurses hated them because they took 10 times longer than open surgery; operation, or OT, cleaners hated them because on completion of the surgery the OT was flooded with water and they needed swimming trunks to clean the mess. In less than five years, arthroscopic surgery became the mainstay of joint surgeries, and surgeons who refused to change almost lost their practice. A few years later, history repeated itself. I was working in Calcutta. A surgeon from South India used to visit to perform laparoscopic gallbladder surgery. I encouraged all my surgeon friends to learn the new technique to protect their jobs and their future. Very few adapted themselves. The rest is history. Ten years later, patients were demanding laparoscopic surgeries naturally as they did not want a big cut, a lot of pain, blood transfusion complications and long hospital stay. "Within the next seven to 10 years, if surgeons do not offer robotic surgery as an option, patients will choose a surgeon who will. Ultimately, it is not a question of what is good for me and you but what is good for the patient. If a procedure is safer and painless for the patient, we can never stop it"
In the early '90s, when angioplasty, which was developed in the US and Europe, was introduced to open blocked coronary arteries, I requested my cardiology colleagues to learn the technique. They did not trust my judgement, and in the end when I threatened to do it myself, they obliged and became heroes. Our government should encourage robotic surgery by removing very high import duty on surgical robots and accessories that can run into crores. Also, major grants should be given to ISRO, DRDO, IITs and other recognised private research institutions to develop indigenous surgical robots. Our country is blessed with most talented software/hardware engineers, scientists amd mathematicians who can create indigenous robots in a matter of time. Thanks to our government's effort to reform medical education, it is a matter of time before we have adequate number of doctors, medical specialists, nurses amd paramedics.